Robert Christie, the Dow Jones & Co.’s vice president of corporate communications, is taking over PR for the New York Times. Christie slides in as senior VP of corporate communications, starting on March 22. 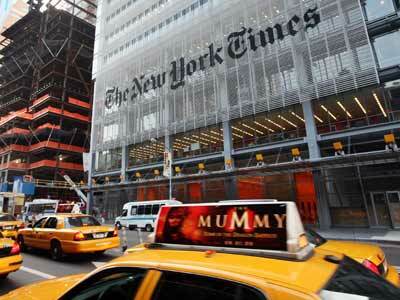 Catherine Mathis, the Times’ longtime public relations chief, left the Times in August. Ethan Riegelhaupt, the company’s vice president for speechwriting and internal communications, ran the PR show in the interim. He joins the Times as the Wall Street Journal sets to debut its New York section, roll out a metered paywall system for its website, and deal with rumours that Carlos Slim is buying up the company.